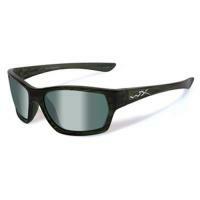 Wiley X SSMOX04 Black Ops Moxy Pol Green Lens Olive Frame Sunglasses FREE SHIPPING! Are you looking for glasses that you can depend on, but which also provide you with great style and class? It can often be hard to locate the most optimal sunglasses, but when it comes to the Wiley X Black ops Moxy--these surpass even the highest industry standards. Furthermore, the green lens of these specific glasses help to block those harsh UV rays, while giving a high optimal performance level too. These are highly durable and almost shatterproof. The frames themselves are constructed of excellent quality material that awards excellent functionality. These are part of the bold street series, which definitely ensures they make a high fashion statement no matter where you are, or what you're doing. The best news is that they are found to be highly affordable and ideal across multiple occupations! I love my Wiley X sunglasses, they look even better than the picture. These sunglasses look and feel great. ©2002-2019 CopsPlus.com: Wiley X SSMOX04 Black Ops Moxy Pol Green Lens Olive Frame Sunglasses FREE SHIPPING!